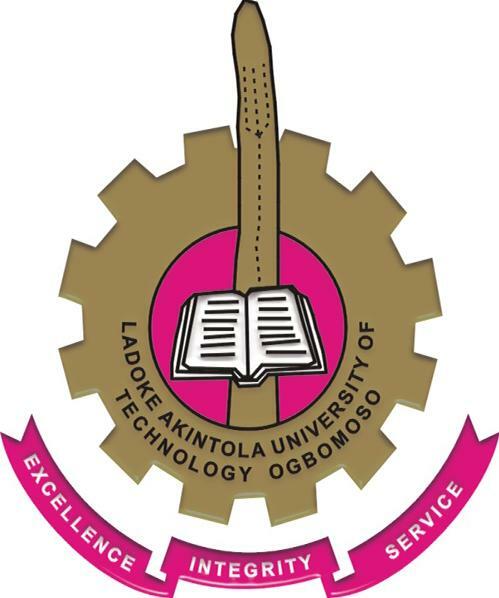 This is to inform all the DIRECT ENTRY candidates who choose Ladoke Akintola University of Technology (LAUTECH), Ogbomoso as their first choice (including those who applied for change of institution) in the 2018/2019 Joint Admissions and Matriculation Board, JAMB that a Screening/Interview exercise has been scheduled to hold on Tuesday, September 25th, 2018 at 10:00 am in the University New ICT Center , Ogbomoso. (N5,000.00) only for result verification fee using Inter-Switch Enabled Debit Cards (ATM). Incomplete application form will not be treated, hence applicants are urged to carefully fill in their details. While completing the online application form, a candidate is expected to upload a digital copy of his/her scanned passport photograph which must be in .JPEG (i.e. .jpg) and must not be more than 20kb. The photograph must be in white background. The LAUTECH Direct Entry application form will be available online for completion and submission from Thursday, September 13th, to Saturday, September 22nd, 2018. Applicants are to note that late completion/submission of application forms will not be entertained. a) Any applicant with blurred picture on the acknowledgement page will not be allowed to participate in the exercise. b) Applicants are to provide valid and active email addresses and phone numbers through which the University can use as a medium to communicate with them. c) Any applicant who fails to present himself/herself for the Screening Interview as scheduled, automatically forfeits his or her chance of admission. d) Applicants are advised to come for the exercise with their acknowledgement page colour print-out. e) Applicants are advised to BEWARE OF FRAUDSTERS as the University will not be liable for any transaction with any unauthorized persons.